As we are rounding out “completing” every room in our home, I have gotten some questions about what room makeovers we will do next! I have a variety of ideas including making over our friends’ homes, moving to a new house (LOL Sean says not for now! ), and of course refreshing the rooms in our current home. While I love what we’ve done in every room of our home, there are some areas that are no longer working for us. Whether it is function or aesthetics, there are plenty of places that I’d like to refresh. This year, we are going to start with a sunroom refresh. The sunroom is our TV/living room. It’s where we hang out at night, pretty much every night. It’s more casual than our front living room and I want it to be more comfortable. While I love a lot of the things about this space, it needs an update. Since having a baby, we just have different needs for a TV room. 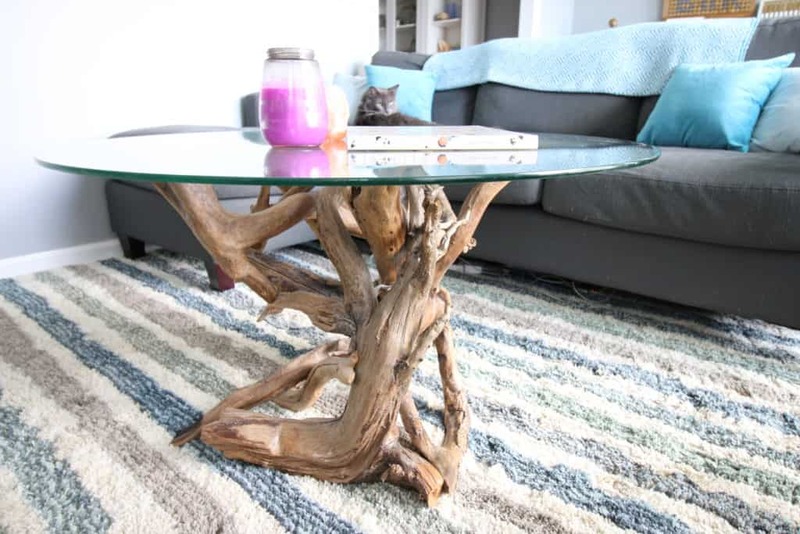 First of all, the driftwood coffee table, while gorgeous, is no longer working for us. The glass top just doesn’t feel toddler friendly. And I know, Luke’s not a toddler yet, but I’d love to get it set straight now before it becomes urgent. I am also just so very over our couch. I complained about it a lot while pregnant and we gave it a bit of new life by restuffing the sofa. However, I still hate it. It’s just seen better days and I’d love something new. 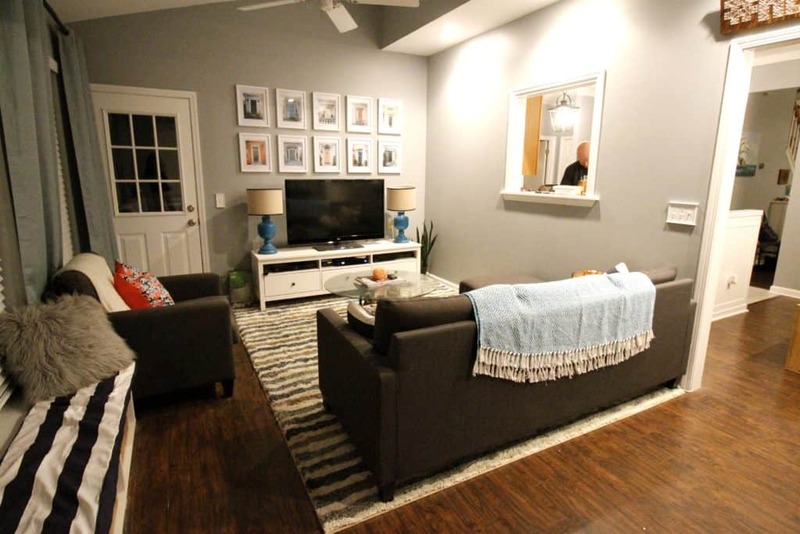 I’d love the new couch to have color and also not have a chaise – to leave more floor space open for baby! On the TV wall, I want to do some updates as well. I have enjoyed the spray painted lamps (I painted them before I met Sean – that’s how long I’ve had them!) but I am just ready for something new. I have plans to build lanterns to take their space. We really need to get some cord management going on behind the TV – it’s messy and honestly probably dangerous when you look back there. That sounds like a great nap time paternity leave project for Sean! Finally, the door gallery wall is fun, but I am ready for something new. I have big visions for a wall mounted plant display that should really bring some life to this space! So, that is phase one of this plan. Phase 2, later in the year, will be some sort of toy management for Luke. We actually have empty bins (in the window seat) and empty drawers (in the tv stand). We will have to see later in the year what kind of toys we accumulate and what we need space for in this room, but that will be coming down the line. I’d also love to swap out the ceiling fans in this space. I have a pipe dream of adding faux beams to the ceiling – we will just have to see if that works out. Honestly, it will be lower priority than some other projects! This is going to be a very budget friendly makeover, but I think that it will be a really good one. 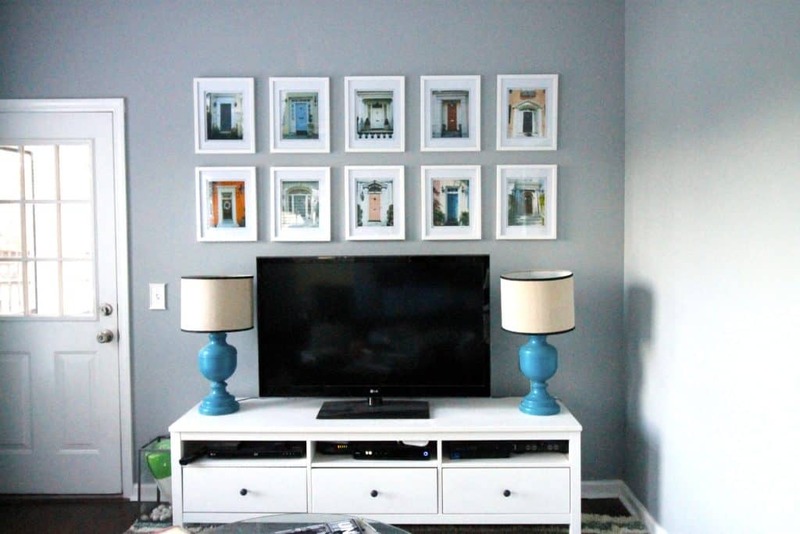 I’m excited to get started on this room refresh and can’t wait to share the process with you! « How Do We Like It Now?